It covers events from St Andrew’s Church, St George’s Church, St Matthew’s Church, Messy Church and other local community venues. 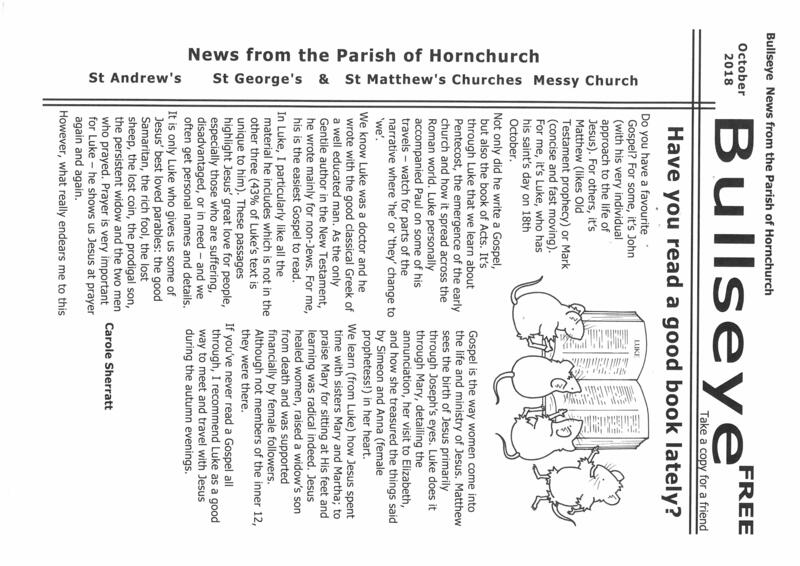 Inside our monthly publication you will find news from the parish, articles, what’s on and much more. We print 900 copies of the Bullseye each month. Available in our Churches on the last Sunday of the month and at community venues soon after. 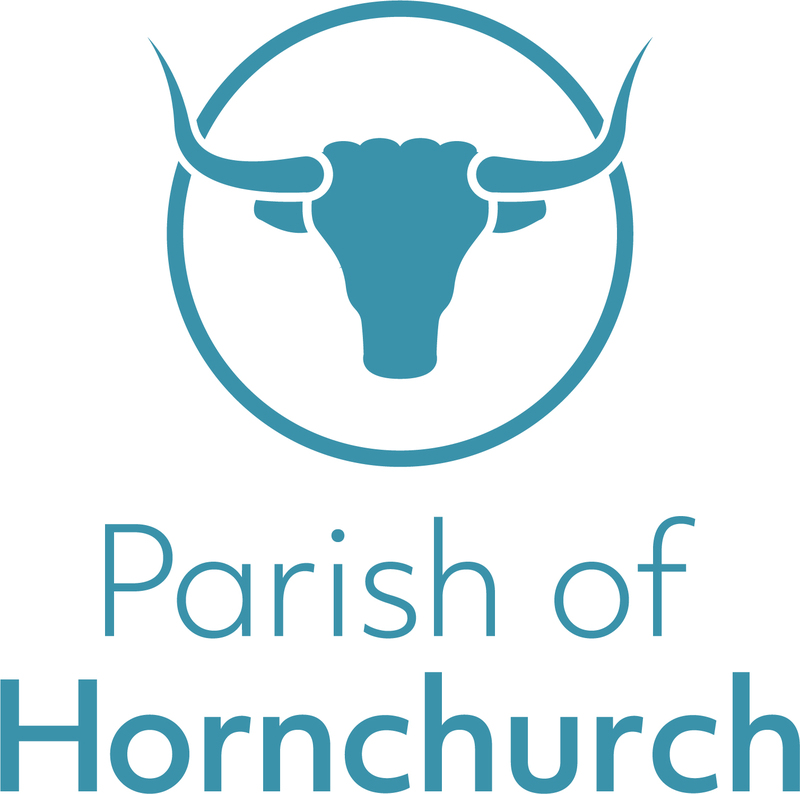 If you would like to contribute an article or letter for the Bullseye please send it to the Parish Office or e-mail to article.bullseye@parishofhornchurch.co.uk. (all articles are subject to the approval of the magazine editor, and should be no longer than 350 words.) Closing date for articles is the first Sunday in the month preceding publication (e.g. to have your article appear in the July issue you need to have submitted it by the first Sunday in June). Are you a business or a private enterprise who wants to advertise locally and on a website? (note on the website it will be in colour but we only print in black and white) We have two different size advertisements and a pricing schedule from 3 months to a year. So whether you are starting out and don’t want to spend too much on advertising, or you’re an established business and want to advertise somewhere new, we have rates to suit.